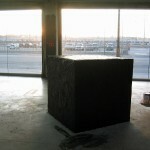 Suddenly, one morning, a large black box appeared. 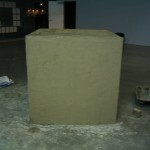 Large, immovable, textured, mysterious, and unavoidable. 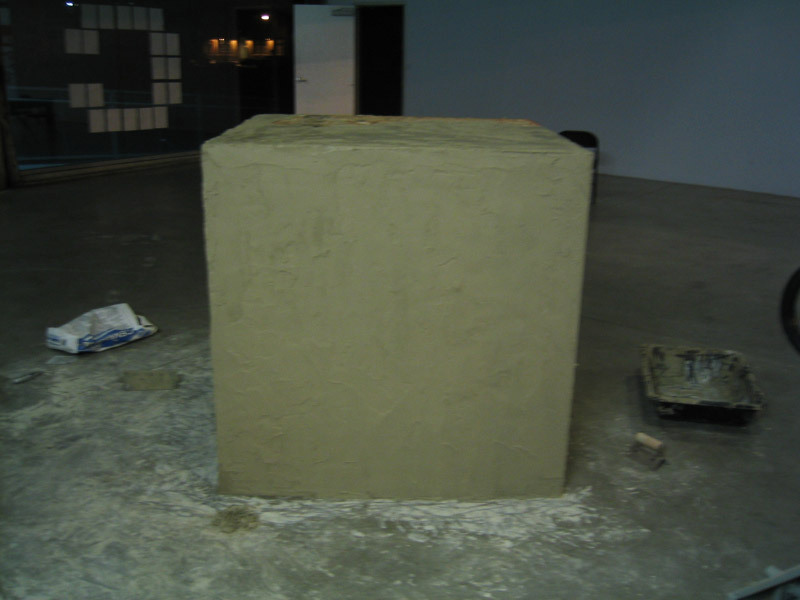 Materials: Wood, cement, enamel paint. 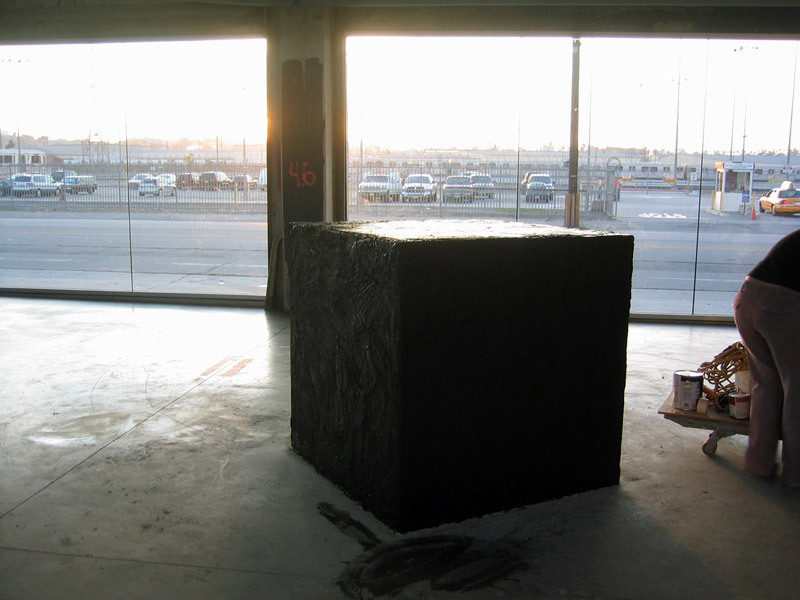 As an architectural intervention and a physical commentary on the state of SCI-Arc, the Blackbox was ‘permanently’ installed overnight with the assistance of one remarkable friend. 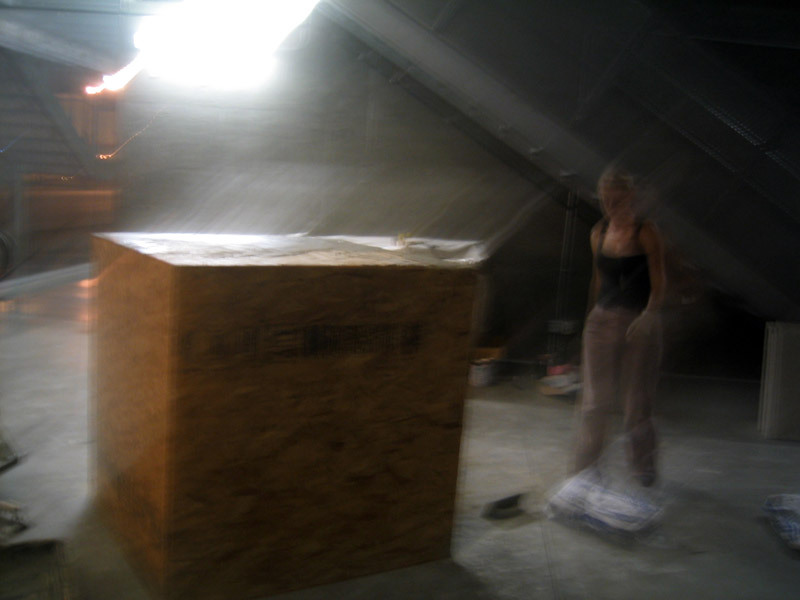 The concept was to create a physical metaphor of the mysterious ‘blackbox’ operations and decisions of an administrative staff that did not interact with the school, while simultaneously making reference to the religious aspects of the practice of architecture as proscribed by the Institute. 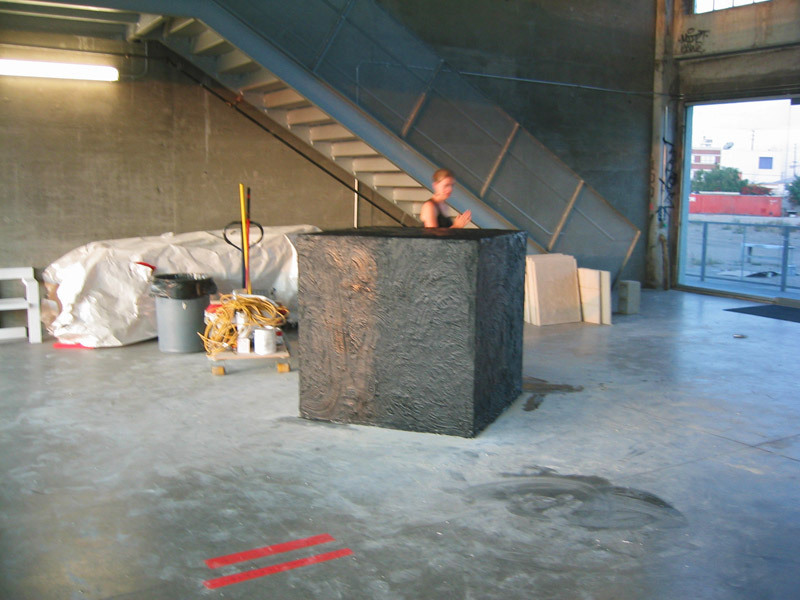 The Blackbox was a 4′ cube, filled with large, heavy artifacts, and internal structure designed to withstand over 500lbs of weight/force on all sides, and cemented to the ground. Completely built and finished overnight. 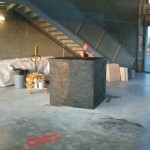 Similar to the large Black Stone of Mecca, the placement of this large box forced engagement and a change of trajectory when a person would be walking near it: the box required recognition. 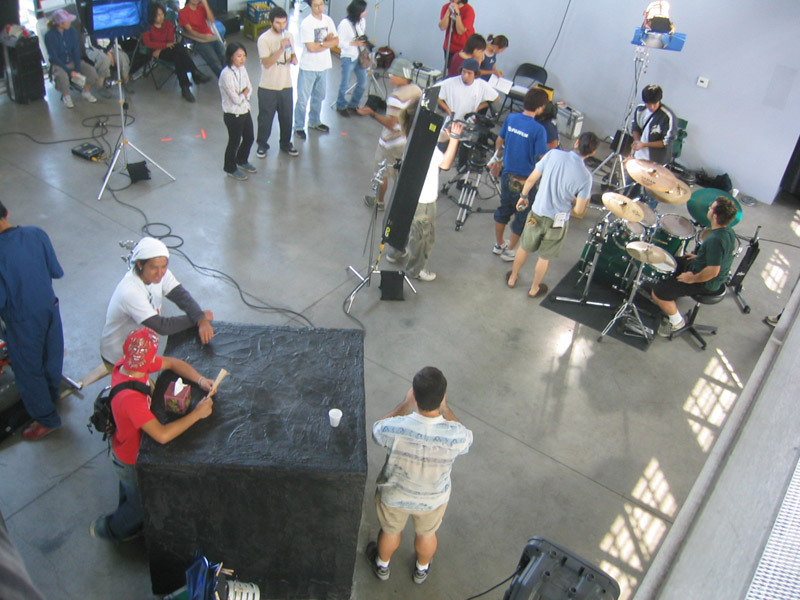 The placement of the Blackbox was set at an off-angle from the parallel lines of the long, horizontal campus, while the black glossy texture intentionally contrasted with the pristine flat white walls that continued throughout the quarter mile long building. 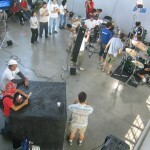 The intervention remained in place for nearly 9 months, used and adopted into its environment by students, staff, and events.